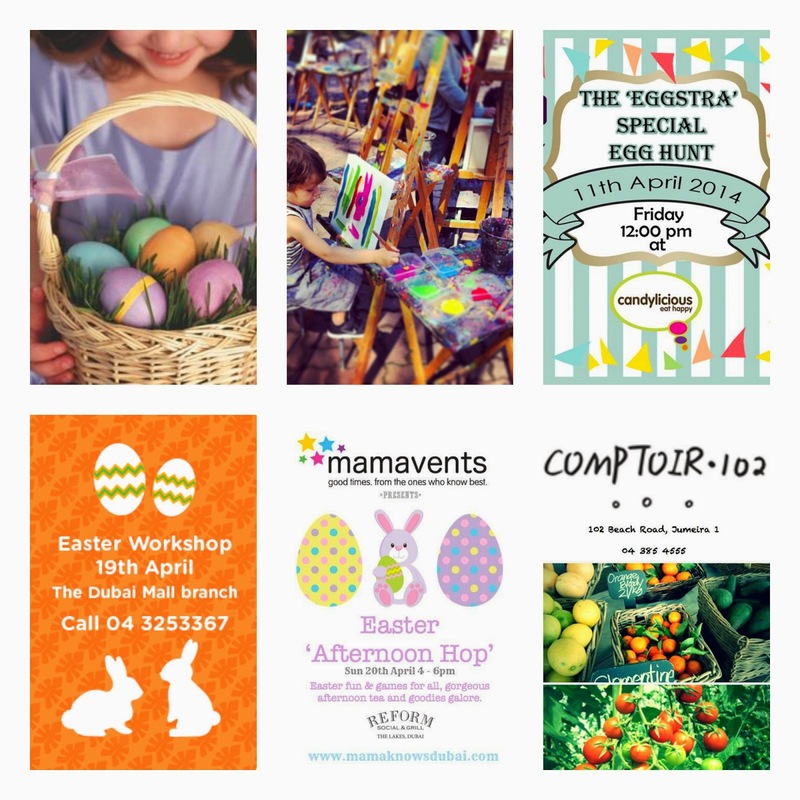 ♥ Mamavents presents "Easter Afternoon Hop", fun & games for all, gorgeous afternoon tea and goodies galore. Sunday April 20th, 04:00 pm - 06:00 pm at Reform, The Lakes, Dubai. Not just about Easter, Saturday 12th of April for another Market Day at Comptoir 102 on Beach Road, Jumeirah between 11.00 am and 2.00 pm. Shop all your healthy supply at Comptoir 102 like freshly harvested organic produce, eggs & organic Lebanese fruit. ♥ Get yourself down to Safa Park and make your own egg hunt fun… Followed by a stop over at The Archive for something to eat while kids play and get creative with The JamJar DIY studio. The Jamjar Pop Up Studio at The Archive April 11th and 19th. Nice post, I bookmark your blog because I found very good information on your blog.